1983 Cockburn's was so badly corked that some people recoiled physically. This was the first time I've ever been able to smell TCA, and to me it really wasn't that offensive. General concensus is that I'm whacked. Roy really has that effect on this port doesn't he? I don't remember who brought the bottle - it might have been David Spriggs - but it was someone who has had good luck with his case of the 1983, and so the idea was that the rest of his case should also be good and we could all enjoy a good bottle of it. In theory. In practice, any 1983 Cockburn's that gets within an arm's length of Roy appears to instantly become corked on the spot. Since I'm so immune to TCA, or at least seem to be, I actually thought the Cockburn's was decent. Yeah, it smelled a little musty and tasted somewhat subdued, but I could tell that there was a really nice Port hiding in there. Ah, so the conclusion is that Roy's attendance is enough to cork a Cockburn. Wicked. 1983 Cockburn that I opened at home tonight was very mildly corked - but still hugely powerful and massively fruity. AHB wrote: 1983 Cockburn that I opened at home tonight was very mildly corked - but still hugely powerful and massively fruity. Almost all the corked Cockburns I've had didn't show corked at first decanting as there was so much fruit it really hid it. But with some decanting it just gets more and more pronounced to the point where its just a liquid soggy wet cardboard and is undrinkable. Sadly this is approaching about a 80-90% corked rate. welp .. let's hope my luck changes for the better. Conclusion: If you open a Cockburn 1983: Don't decant. Several posts moved by jdaw1 into new thread The Great TCA Debate. Morgan 1963 - badly corked, but this was the first bad one out of 5 drunk. 26 June 2009. At The Crusting Pipe on 21st July, we experienced a bad bottle of 1983 Churchill Agua Alta and a mildly corked bottle of 1987 Cavadinha. This appears to be a systemic issue in 85... Fonseca being a notable exception, Grahams less volatile than others. As a result, I'm concerned that many 85s may already be in decline. I've also had several bottles of the 97 Niepoort with prominent VA...and then there were the leakage problems during one of the bottling runs. could peope stop using the words 'nighTCAp', 'fruiTCAke' and 'suiTCAse' in their tasting notes please? Is it me or am I just unlucky as I opened a Moggies 91 earlier today and the cork almost exploded from the bottle. The contents, however, remained and is bearing up like most M91's I have had before, however, a non Port drinking member of my family who I asked to taste it noted a distinct 'fizz'...anyone had that before? 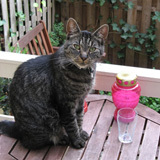 Cookie wrote: Is it me or am I just unlucky as I opened a Moggies 91 earlier today and the cork almost exploded from the bottle. The contents, however, remained and is bearing up like most M91's I have had before, however, a non Port drinking member of my family who I asked to taste it noted a distinct 'fizz'...anyone had that before? I've had fizzy port before (not the Morgan 1991 though), but never been able to get a definitive explanation as to what makes it fizzy. I've always assumed that port is too alcoholic for a malolactic fermentation so the only other process I could come up with to explain the fizz was a bacterial infection in the bottle. 1950 Dow's - had a really sticky capsule, and on opening was completely gone, extremely medicinal on nose. A second 63 Warres was also showing to have recent seepage but was beautiful - let's hope the rest of the case is like this and not like the 1st bottle. Two bottles of Croft 1985 opened yesterday were full of VA. I took a sample bottle home and tried it again, 24 hours after opening. Still full of VA but underneath all that nail varnish is a tasty and powerful port. One to avoid if you don't like VA but a nice port if you don't mind VA (I'm in the latter camp). Dow 1977 at the blind tasting at TCP on Monday 19 April 2010. Warre 1980 at a Warre tasting on Saturday 17 April 2010. Crumbly cork. Breaks apart every time. Glenn E. wrote: It wasn't Roy's! 2004 Quinta do Crasto "Vinha da Ponte"
I believe the guy who brought it lived in Florida. a. the last bottle of 1983 Cockburn I opened from my own cellar was in very fine condition. Not as great a bottle as some I've had, but with extended decanting ... zero signs of TCA. Back in the 1990s, I considered this the Port of the vintage. Not anymore. b. the 1983 mentioned in this thread from our Gala in 2009, was actually brought by an old friend of mine who had NEVER had a corked 1983 Cockburn from the many he'd opened. Todd lives in Atlanta, GA.
c. Although I have had a few dozen bottles of 1983 Cockburn's, the first case I owned in the 1990s, showed a 100% rate of successful bottles w/o any bad bottles. This was purchased from a now defunct company called Tinamou (in CA). The second case was purchased along with a 3rd from the same source ... The Wine Club (SF) in around 1998 or 1999. I had only one or two TCA infected bottles from the 2nd case. The 3rd which I am currently on, has had six of the past eight bottles corked. Every time I open one, I now worry. I don't know that I'd agree with an 80-90% rate of TCA on that bottling ... but none of us will ever know. d. The bottle Miguel Corte Real brought to The Crusting Pipe in 2008 was lightly corked too and I was the first to mention, as it appeared other people were initially vacillating whether or not to bring it up, while some present, did not even notice TCA at all. Agreed it was probably only 2-3 ppt; but it certainly got worse over the subsequent hour and should have left no doubt in anyone's mind. In 2009, when Derek and I had lunch with Miguel, I even asked him about this "phenomenon" and inquired if Cockburn's would be willing to trade another vintage for bottles left in people's cellars and he was clear that was not possible. I felt it inappropriate to push on this point. I'd hate to list all of the corked Ports I've had over the years, white/Ruby/LBV/VP/even a bad bottle of 1952 Dalva a few months ago. Too many to list, that's for sure. However, only within the past year, after several hundred bottles of Madeira, did I finally come across ONE with TCA. Remarkable! Roy Hersh wrote: I'd hate to list all of the corked Ports I've had over the years, white/Ruby/LBV/VP/even a bad bottle of 1952 Dalva a few months ago. Too many to list, that's for sure. However, only within the past year, after several hundred bottles of Madeira, did I finally come across ONE with TCA. Remarkable! I know StevieCage had this once with a Niepoort 1997. Strange phenomenon.